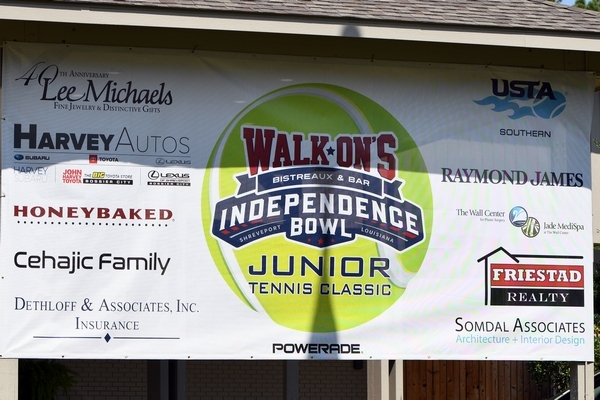 The inaugural Walk-On’s Independence Bowl Junior Tennis Classic USTA Southern Level 2 concluded with championship singles matches on Monday, marking the end of a successful tournament. Tennessee, Kentucky, Georgia, South Carolina and North Carolina to Pierremont Oaks Tennis Club and Southern Hills Tennis Center. The groups included from girls and boys 12’s to 18’s and featured 24 competitors from the Shreveport-Bossier City area. The tournament was also featured prominently locally on KTAL News 6 and in the Shreveport Times.